Are you searching for a perfect idea to make your wedding events grand and entertaining for every guest? Now, it’s time to switch to the traditional entertainment with best bhangra dances for your wedding event. It doesn’t matter what kind of wedding event you host, there is nothing entertaining and exciting like adding the entertainment and fun of Bhangra to your event. It is always a real excitement for every guest in your wedding event. You will always feel a great fun and energy during the wedding events venue. So, hire the best Bhangra group with Bhangra on call services. We have a group of well experienced and highly talented members as Bhangra dancers. Bhangra is one of the most energetic and colorful dance forms that are famous in India as well as most of the countries. When you choose the services of our group for any wedding event, we always make sure to and the excitement, energy, and colors to your events. With our energetic performance, we will leave every guest happy and entertained. We are working to keep the tradition of dance alive with our talent and experience. In our group, we have young and energetic team members who are able to add the complete dose of entertainment and fun to your wedding events. 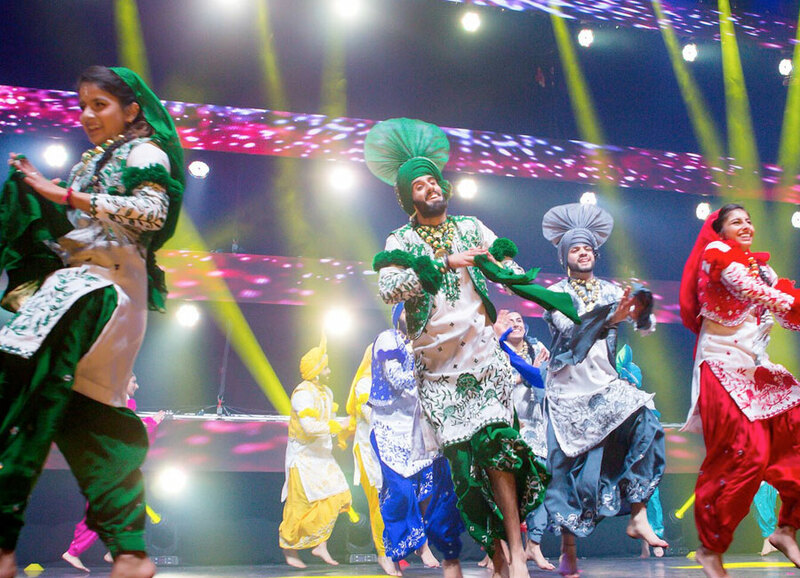 We have the aim to spread the Bhangra culture and art with our amazing performances. Our team members are able to steal every moment of the wedding occasion with blazing performance. Because of experience of such a long time, you will find the perfection and traditional elegance in performance of Bhangra dance group for wedding occasion. With our expertise in traditional Bhangra dance, we try our best to please every guest in the party or wedding event. You will get options to choose the number of dancers in our Bhangra group according to your requirements in the wedding occasion. We understand that everyone has a different need and different budget for such celebrations. We provide the complete packages for high budget as well as low budget wedding events. You just need to call us and we will give you best reasons to make your wedding events grand and energetic with our group of Bhangra dance members.